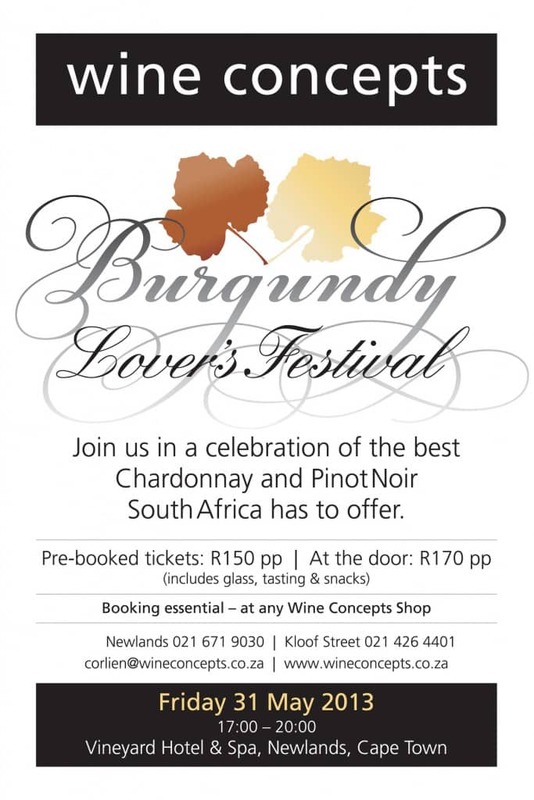 I’m really looking forward to the Burgundy Lover’s Festival – a wine show with only Chardonnay and Pinot Noir – being held at the Vineyard Hotel in Newlands. I’ve included the details below, but if the show is anything like last years it definitely should not be missed! Wines on show include some of my favourites from the Hemel and Aarde Valley including Creation Wines, Bouchard Finlayson and Hamilton Russell Vineyards. I’m also looking forward to some wines that are new to me including Vriesenhof, Crystallum Coastal Vineyards and Yardstick Wines. 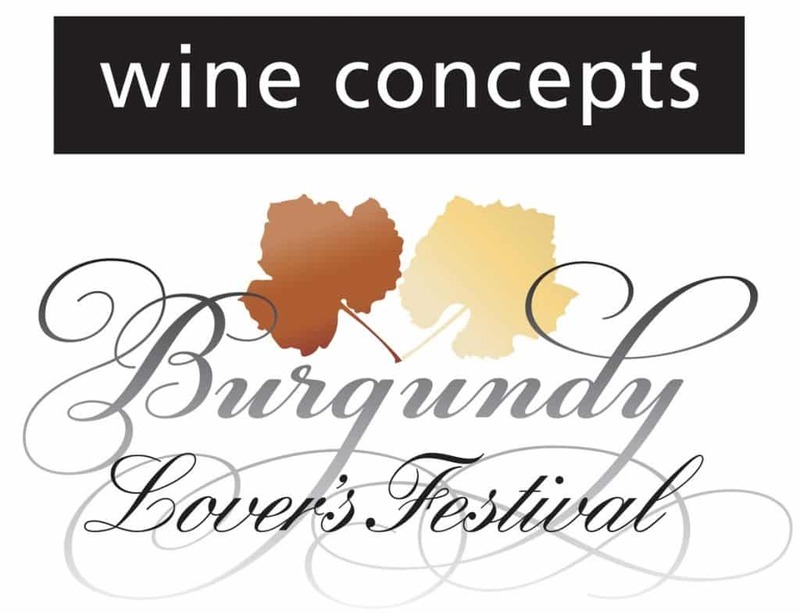 Now in its third year, Wine Concepts’ premier Burgundy Lover’s Festival is set to be bigger and bolder as it celebrates the Capes finest Chardonnays and Pinot Noirs. Hosts Wine Concepts will again stage the prestigious event at the Vineyard Hotel and Spa in Newlands, Cape Town on Friday 31st May 2013 from 17h00 till 20h00 in the graceful Summer Room. Guests will be treated to one of the most impressive selections of Chardonnays and Pinot Noirs ever seen in the country. 35 of the country’s top producers on the Burgundian varieties have been invited to showcase their fine wines complimented by delicious snacks suited to the style of wines. As an added benefit all wines presented at the festival will be on offer at a 10% discount for guests wishing to purchase.